Compact, handheld Sea Dragon Dive lights can be used a primary source of light or as a back-up light. As a primary light, Sea Dragon lights offer exceptional brightness and a generous amount of run time. There are a number of ways you can hold or carry your Sea Dragon Dive light, check out the options available for each light. 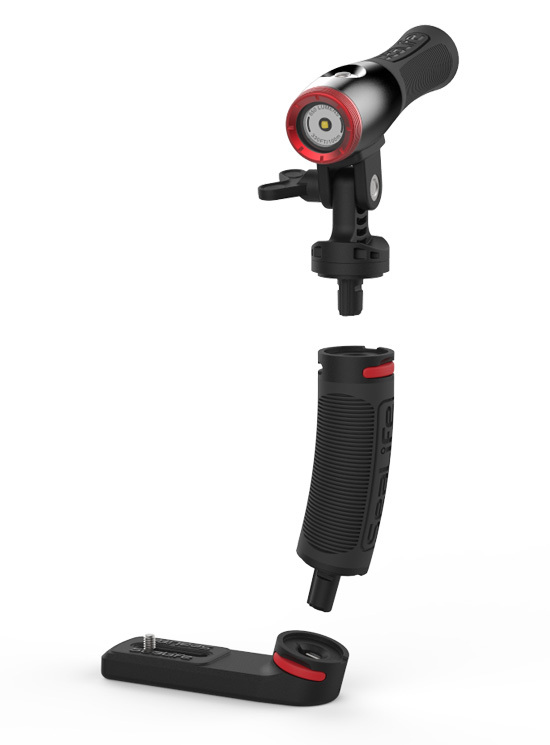 The Sea Dragon 650 Micro Kit includes the compact Sea Dragon Mini 650 Flood lumen light, adapter for GoPro® Camera, Flex-Connect Micro Tray, Grip and Y-S Adapter. All of the items easily combine with just a “click” using the Flex-Connect mounting system. Featuring an impressive 120° beam angle and long burn time, the Sea Dragon Mini 650 Light brings out vibrant colors in your underwater photos and videos, while the Flex-Connect Micro Tray and Grip provide comfort and stability to your camera setup.